The hall soars up into a triple height atrium and the living room, kitchen and stair tower are walled with glass. 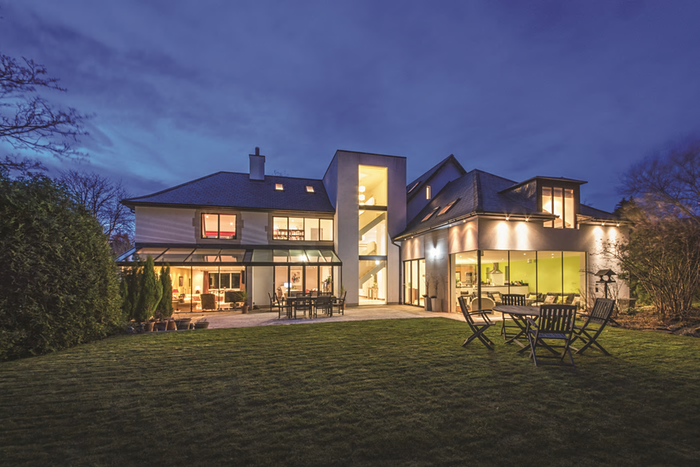 This is a massive pile with intelligent lighting, underfloor heating, five en suite bedrooms and three extra top floor rooms. The floors are all stone or walnut and the fittings designer. Offers in excess of £1.5m. This is a Huf Haus – eco pre-fabs for the wealthy designed to order in Germany. Fluidity is the theme with beech floored, glass-walled, open-plan living spaces and electric blinds when the natural light becomes too much of a good thing. Three of the four bedrooms open on to balconies. The basement would make a good gym. Asking price: £995,000. You can see the Isle of Wight through the glass walls of this five-bedroom beach house where every room has a balcony and even the staircase is see-through. 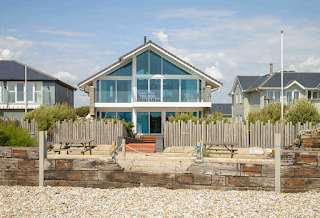 A glass-roofed walkway leads across a landscaped courtyard to the front door and the back garden ends in the beach. Guide price: £1.595m. 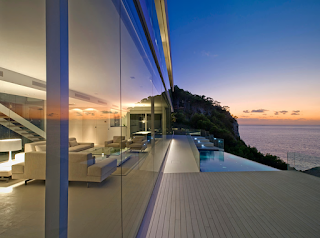 You can sunbathe inside as well as out in this transparent edifice aloft like an ocean liner on a cliff edge. The decked terrace and pool give the illusion of merging with the Mediterranean and alongside them is a spa area with hamam, sauna and whirlpool bath. There’s a bathroom for each of the five bedrooms and underfloor heating throughout. 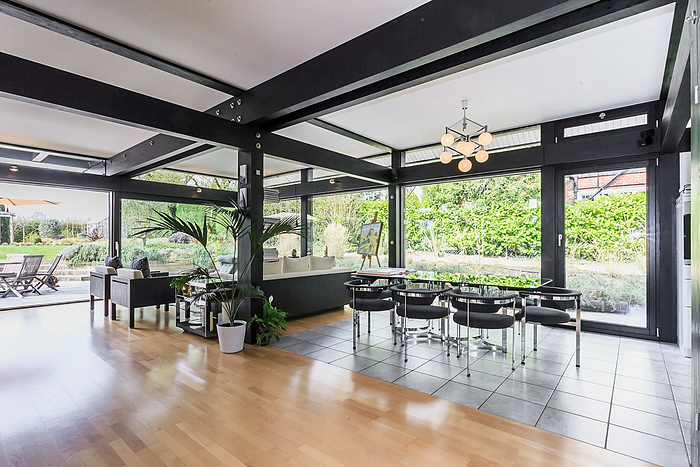 Asking price: £3.498m. Soaring glass walls connect this 10,000 sq ft mansion with the ocean which lies beyond the garden. The staircase is suspended over a reflection pool in the white hallway and the inner rooms overlook more water in the courtyard swimming pool. The friends who will clamour for your hospitality can be berthed in the three-bedroom guest suite. On the market for £2.481m.